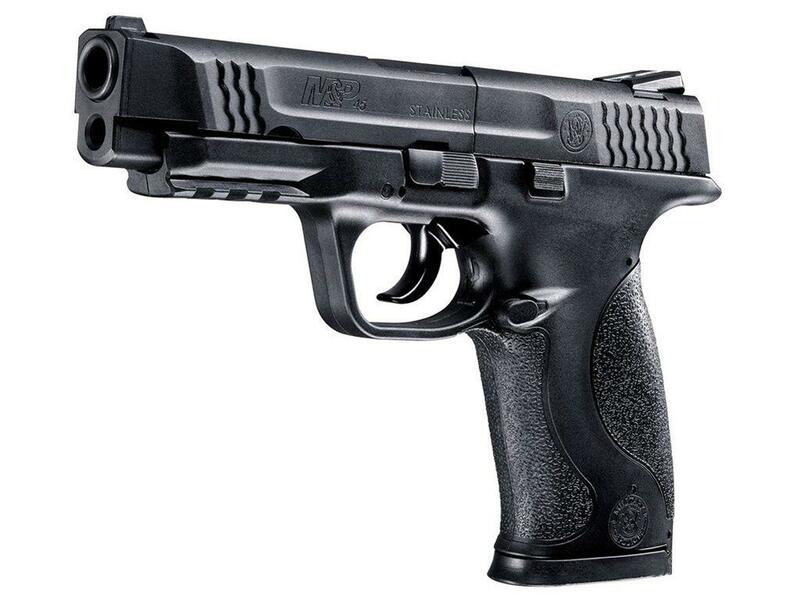 Umarex S&W M&P 45 Pellet/BB Pistol | ReplicaAirguns.ca | New Website! 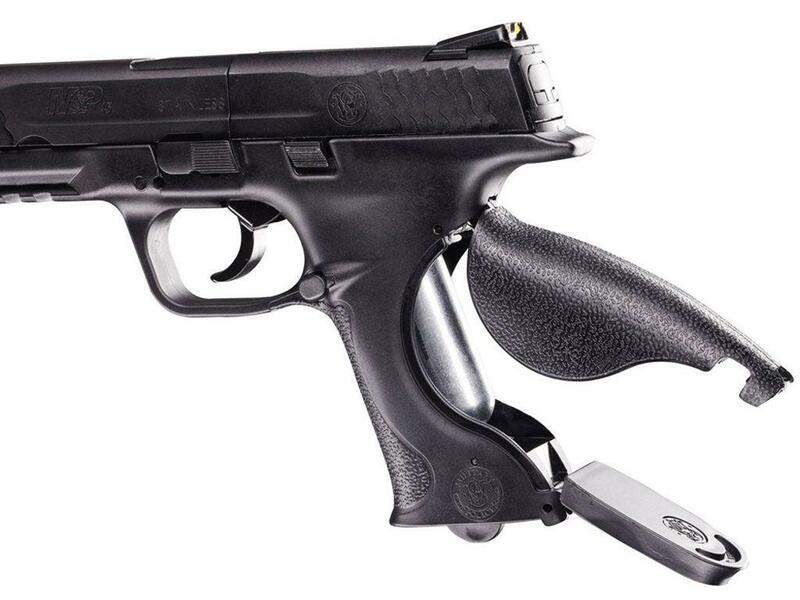 Trigger Pull: The trigger pull on the Umarex Smith & Wesson M&P 45 is better than with the Umarex PPQ and not only because you also get a single action trigger with the S&W M&P 45 but the double action trigger is also smother with less force required. Shooting this gun pre-cocked in single action mode is great for when you want to zone in on a target but you can always shoot double action when it's time to just blast! Accuracy: I shot this air pistol at a target from 20 feet away in a free standing position, and it performed well getting a decent 2 inch grouping with both the pellets and the BB's very close to the center of the target. I found it performed equally as well in both single and double action. As I shot this gun I seemed to get more focussed and I ended up getting tighter groupings with it. The sights can be adjusted for windage if your aim is off to one side or the other. My Chrony Chronograph testing using 6.9 grain lead pellets and standard weight BB's averaged about the same in the 330-340 fps. Build Quality: This is an almost all external polymer air gun with a good deal of metal components on the inside giving the S&W M&P 45 a decent overall weight and heft. I actually felt the stated weight seemed a bit low; it would be interesting to put this one on a scale and find out for sure? Some of the external metal parts worth noting are the safety switch, slide release, and trigger. The fit and finish is very good on the PPQ and the plastic is the good stuff just like the similarly made Umarex PPQ. Realism: The Umarex S&W M&P 45 is a licensed replica of the actual Smith & Wesson M&P 45 semi auto pistol. It is a very close looking copy with the exception of the missing extractor pin and right side slide release. There is a lot of attention to detail that helps make this gun very believable like the large diameter barrel opening and Smith and Wesson markings throughout the airgun! Very reasonable price for a well-made full featured airgun. Excellent reproduction of the real S&W M&P 45 semi auto pistol. Shoots both pellets and BB's. Easy to use yellow dot sights adjustable for windage. Slide catch and safety are realistic and functional. Well-designed CO2 access both hides the CO2 and makes it easy to install. Even though there is a lot of plastic on the outside, there is a lot of metal on the inside giving this airgun some good weight and heft. Missing extractor pin takes a bit away from the realism. Could have just a bit more power - would be worth getting less shots per CO2. Comments: The Umarex Smith & Wesson M&P 45 Pellet and BB CO2 air pistol really impressed me. I was already fairly impressed with the Umarex PPQ and how far a little bit of money went with that very similarly designed Umarex model. But I have to say for me the S&W M&P 45 has the clear advantage mainly because of the addition of the single action trigger. The Umarex S&W M&P 45 really has a lot going for it: Great entry level price point, it shoots both Pellets or BBs, it has a rifled barrel, an adjustable rear sight, good accuracy with decent power and CO2 efficient and great looks. As with the Umarex PPQ, these qualities make it very easy to overlook the mostly plastic exterior! I went shooting with this pistol this evening and it performed good. It is fun to shoot. I would recommend this pistol. I wasn't crazy about buying a polymer gun. But the other review and Michael Kaye's review both addressed this stating the polymer was the good stuff. Well I totally agree. This is like a low cost alternative to the expensive German made Umarex pellet pistols. Shoots hard and is accurate (love the yellow dot sights). Feels substantial in the hand and well made. My only gripe.. and it's a small one, is a small blemish on the back of the slide. Not a deal breaker. All in all a great gun for a great price. I was looking for a reasonably priced pellet pistol, and after opening up this beauty...nothing but smiles! Good weight, and great construction...if this isn't firearm grade polymer it has to be very close. 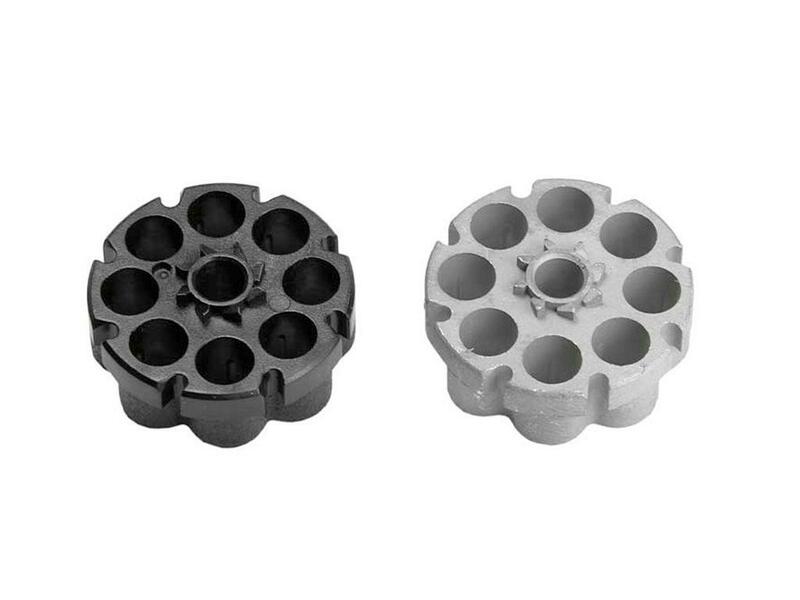 Easy to use, and decent accuracy (1.5 to 2 inch groups at 25 ft) with good co2 usage with 80+ shots per cylinder. Only complaint is pin in the handle sticks out just enough to feel it rubbing on your palm...easy enough to fix, but had to complain about something! Overall a great gun, and just what I was looking for...you wont be sorry with this one! 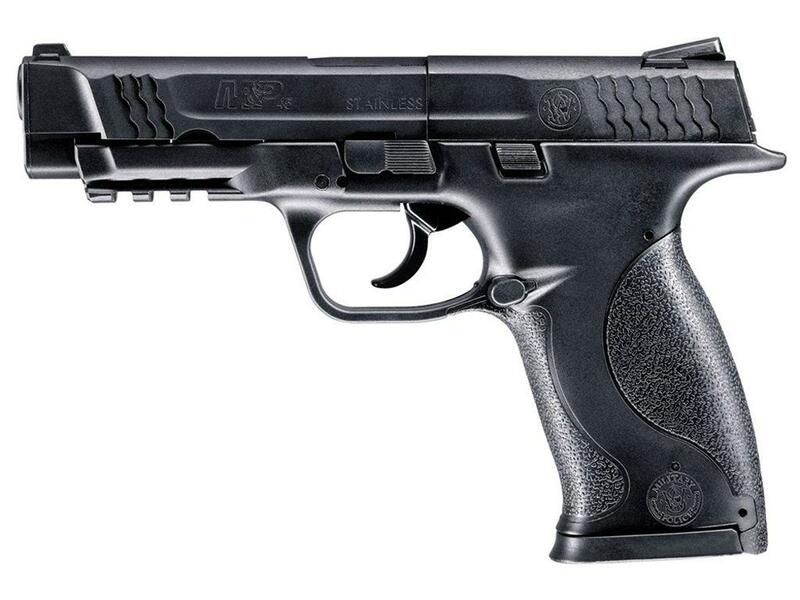 http://www.ReplicaAirguns.com - Umarex Smith & Wesson M&P 45 CO2 Airgun Review. 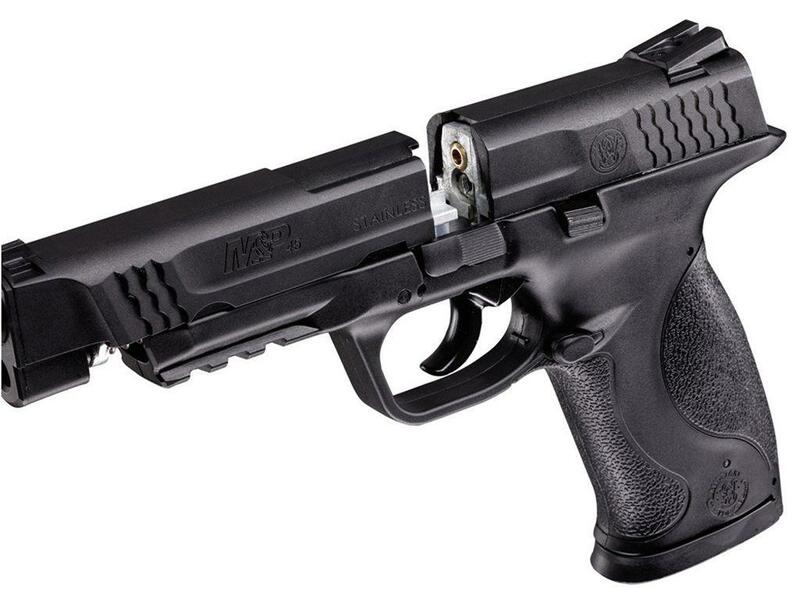 This is a table top review of the Umarex Smith & Wesson M&P 45 CO2 Pellet and BB pistol. I show you around the gun and walk you through its basic operation and handling. I have included a target example showing you a grouping I got from 20 feet out using both pellets and BB's with this versatile airgun. I also do a Chrony Chronograph test of this gun shooting some 6.9 grain pellets and then some standard BB's through my Chronograph to see what the real world fps is. The Umarex S&W M&P 45 is mostly plastic on the outside but has a lot of metal on the inside giving it a good overall weight and feel in the hand. It has many features going for it at a very affordable price making it a an excellent deal for anyone looking for an affordable pellet pistol with little to no compromising.